If you have used Gnome, you will find that virtual desktops are an great feature of Linux, and that it can be used to maximize productivity, Virtual Desktops exist in KDE4 also, but not in the way you expect it to be. 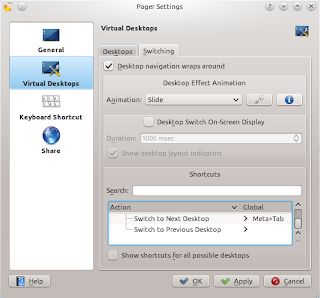 KDE4 by default has 2 virtual desktops, however they require slight tweaking before they can be used effectively. 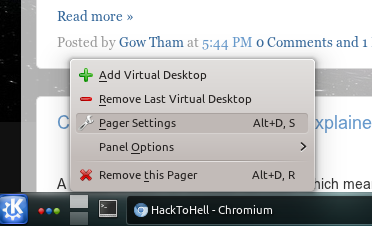 Configuring pager for Virtual Desktops. Right click on pager and select Pager settings. 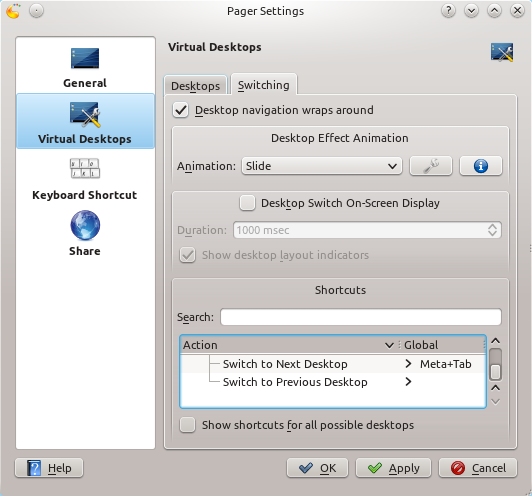 In the Pager settings, move onto the Virtual Desktop settings and select the number of virtual dsktops that you want. In the switching tab, in the Action Switch to Next Desktop, remap the key to something you like, I set it to Win+Tab (Meta+Tab on Linux). You can also change the animation to anything you like. 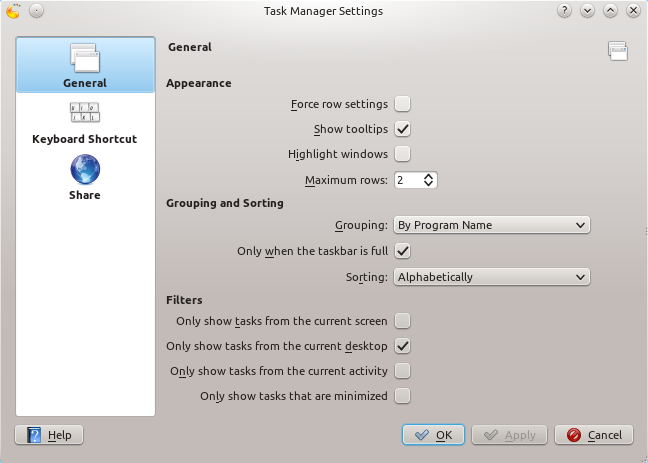 Now we need to configure the taskbar so that it does not display Programs from other windows. 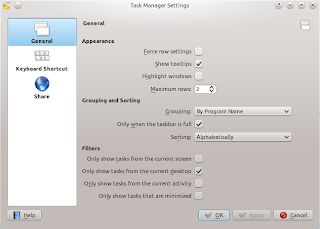 In a free area of the desktop, right click on the task bar and select Task Manager settings. In the filters option, check Only show tasks from the current desktop. Now when you press Win+Tab or any other key to which you mapped to, you can easily switch Virtual Desktops.